The CFL's top rookie last season issued a statement Wednesday saying he's received interest from "several NFL teams" this off-season. Wilder Jr., who's under contract with Toronto through the '18 campaign, said he's reached out to the Argos several times but they're unwilling to allow him to pursue those opportunities so he'll skip playing in Canada this season to safeguard against a potential "career-ending injury." "It's a decision I've prayed on while speaking at length with the people closest to me, including my mentors," Wilder said. "I wish it could be different. "I don't want to put my football dreams aside but as a father of four, playing for $56,000 Canadian (about US$45,000) without any potential protection from career-ending injury isn't enough to give my family comfort." Wilder Jr. added the Argos weren't willing to re-do his CFL deal "to reflect the value I believe I bring to the team." TSN's Dave Naylor notes that some teams provide an NFL window for players on a case-by-case basis, but not everyone receives it. 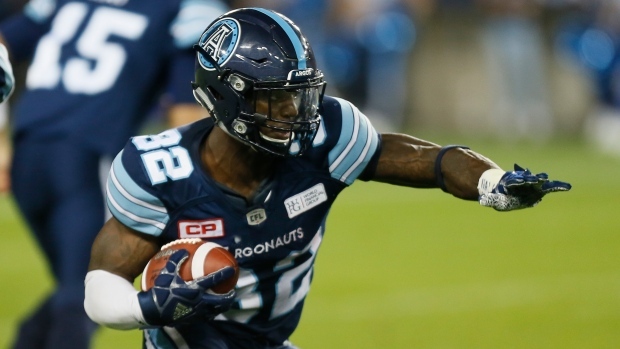 Argonauts general manager Jim Popp said that if NFL teams have been expressing interest in Wilder, then they are in violation of an agreement between the CFL and the NFL because he in under contract. "This isn't the end of my football career just a business decision for my family, a minor setback in advance of a major comeback," he said. "I hope my decision can be respected and Gold bless you all."